After Greece and Macedonia reached the agreement on the name, the Russian lobby has increased its efforts to prevent the Republic of Macedonia from entering NATO, and to also preserve Russian influence on a number of countries in the region, according to Section "Bravo" of the "Information Resistance" group. In mid-July, two Russian diplomats were expelled from Greece. The expulsion was officially confirmed the day after NATO formally invited Macedonia to join the military alliance before the successful completion of the deal to rename the country. Following the announcement that the two Russian diplomats are persons "non grata" and two more are banned from entering the country, Macedonian journalists tried to obtain additional information from the author of the article in the newspaper "Katimerini" Vasilisa Nedosa. In the article, the journalist confirmed that the measures taken against Russian diplomats are a response to the attempts to extract information, important for Greece's national security, and to bribe state officials. 2. The aim is to obtain information important for the national security of Greece and to prevent the conclusion of an agreement with the Republic of Macedonia, as a result of which the latter will become a member of NATO (according to the treaty the country will be called the Republic of Northern Macedonia. The Document opens the way for the former Yugoslav republic to join the EU and NATO - Ed.). 3. The targets were leading state officials and mayors of the main cities of northern Greece, priests of the Greek Orthodox Church and monks of the Holy Mountain (Athos). 4. The main forms of work included: financing of protests against the treaty with the Republic of Macedonia, financing of churches, bribing of civil servants and local leaders, financial and organizational support for radical nationalist movements and the like. In an interview on the 16th of July 2018, the Prime Minister of the Republic of Macedonia, Zoran Zaev, reported that the relevant units of the Ministry of Internal Affairs (most likely the Security and Counterespionage Office) are investigating cases of payments to the participants of anti-government rallies during June this year. "Representatives of Russian business from Greece allocated $13,000 to $21,000 to finance the unrest," Zaev said. The same statement he voiced during a short interview with Macedonian television on the 16th of July 2018 during the opening of a factory for the production of auto parts (investment from the United States). He also pointed out that Russian businessmen in the Republic of Macedonia financed the protests. "The expulsion of diplomats from Greece and the statement from Skopje is a signal to Moscow that the issue of the Greco-Macedonian treaty is a matter only for Greece and Macedonia," said Shekerinska, Deputy Prime Minister and Minister of Defense of Republic of Macedonia. It is obvious that the investigation by the Macedonian special services is targeted at the Russian businessman S. Samsonenko, who owns the sports club Vardar (the best football, basketball and handball clubs in Macedonia) and heads the "ultras", who were the most active in the anti-government protests. As for the Russian businessmen from Greece, it is most likely the billionaire Savvidi ( net worth of $1.9 billion, according to Forbes 2018) who owns the “Agrocom Group” (Rostov-on-Don) and “Belterra Investments” (Cyprus). The latter one, a consortium with French and German companies, owns the concession of 67 percent of the Thessaloniki Port Authority until 2057. He is also the owner of the famous Greek football club PAOK (Thessaloniki), whose fans staged protests against the treaty with Macedonia at the end of June 2018. 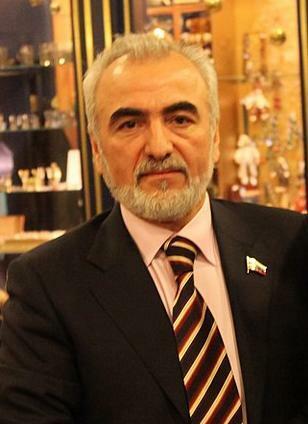 Therefore, Russian diplomacy in Macedonia with the support of the pro-Russian forces (“United Macedonia”, part of the VMRO-DPMNE (Internal Macedonian Revolutionary Organization), the World Macedonian Congress, the Christian Brotherhood, the ultras of the football club “Vardar”, part of the pro-Russian representatives of the Macedonian Orthodox Church, etc.) 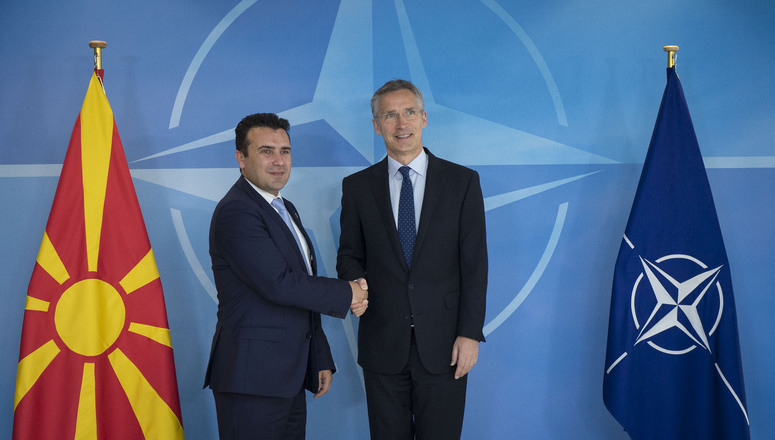 continue to make efforts to block Macedonia's entry into NATO. It should be expected that the protests against name change (in fact, against joining NATO) will intensify. Russian diplomacy actively uses the financial and organizational support of Russian business in Macedonia represented by “Lukoil”, the copper mine “Butchim”, “Stroytransgaz”, “TO-TO” Thermoelectric power station of Skopje, the Russian businessman S. Samsonenko and others. Some additional information on Russia's efforts to counter the strengthening of US and NATO’s influence in the Balkans has been published by the Greek weekly and online portal “Athens voice”. One conclusion of “Athens Voice” is that Russia's opposition to the treaty between Greece and Macedonia is only the tip of the iceberg of Russian subversive activities in Greece and the Balkans. Media has been publishing data from the Greek security services on "destructive actions of secret services of one particular country". 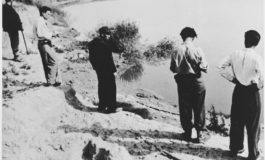 The open actions of the Greek security services and the process of expulsion of the employees of the Russian secret services began after they attempted to recruit a Greek serviceman who reported the incident to his boss. However, the work to expose the activities of the Russian secret services is being carried out for a long time, jointly by the National Intelligence Service of Greece, the American CIA in cooperation with the Government of Cyprus. The aim is to "document in detail the contacts, financing and movement of Russian agents in Greece, their illegal contact with Greek organizations and citizens, and also their connection to specific, social and economic processes”. "Athens voice" concludes that announcing the four Russian diplomats persons "non grata" is only the first step. In the future, one should expect less high-profile actions but much broader and more effective response of the Greek and Cypriot governments. For example, financial audits of the activities of Russian businessmen and organizations, including those associated with the Holy Mountain - Athos, revision of decisions on the privatization of state-owned enterprises and granting concessions, verification of media and public organisations. Particular attention will be paid to the church. Both the Greek Metropolitans and the Russian monastery of St. Panetleimon, part of the autonomous Athos, which has long been considered a nest of Russian special services, have actively supported the protests against the Greco-Macedonian treaty. 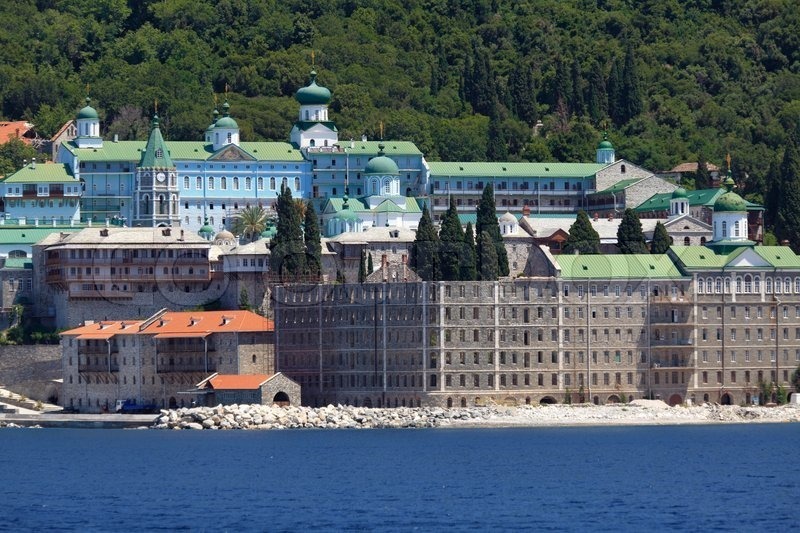 The Russians have also intensified their activities on Mount Athos in connection with the efforts of the Ukrainian Orthodox Church of the Kyiv Patriarchate and the Macedonian Orthodox Church of the Ohrid Patriarchate to receive Tomos of autocephaly. The "pilgrimage" of numerous Russian delegations to the Holy Mountain and their meetings with Greek citizens, members of the Greek parliament, heads of local authorities of Northern Greece, public organizations, influential Greek and Cypriot churchmen and businessmen, became commonplace. The goal is clear - to prevent the weakening of the Moscow Church and its faithful ally, the Serbian Orthodox Church, and through the influential Greek Orthodox Church to solve their main problems. As for the activities of the Russian businessman, Savvidi Ignatievich pictured below left), in Greece, "Athens voice" reports that at present he owns the newspaper "Ethnos", the TV channel "E", the 5-star hotel "Macedonia Palace" and the football club PAOK in Thessaloniki. In addition, in 2000, Savvidi created a charitable foundation that deals with the construction and repair of churches, the organization of pilgrimage to Athos, and the support of religious educational institutions. Greece's special services have warned that an "international mafia" is behind the international conglomerate which received 67% of the concession on the Thessaloniki port valid until 2057. The share of Savvidi, whose company “Belterra Investments” (Cyprus) is part of the group, is 15%. The activation of Russia in the Western Balkans is also evidenced by the recent document of the Foreign Affairs Committee of the British Parliament. British parliamentarians conclude that, given the passivity of Europe, China and Turkey are strengthening their economic and political position in the region. Russia, on the other hand, having a poor economic leverage, relies on extremist and nationalist forces and corruption among politicians and public figures. On the 21st of July, in an interview with the Greek edition of "Efimeria Ton Sintekton", the Greek Foreign Minister, Kotsias, said that Greece will not allow another state to interfere with its national interests, even if this state is stronger. The latest steps of Greece and Macedonia, which have received full support from the United States, the European Union and NATO, resulted in the strengthening of the Russian Federation's counter-activities on the Balkan Peninsula. Recent developments in the region show that by using all of its capabilities Russia is trying to counteract the Euro-Atlantic integration of the countries of the region. By facilitating the escalation of tension in many "painful spots" on the territory of the former Yugoslavia, it is also trying to divert attention from its criminal actions against Ukraine, Georgia and Moldova. In addition, a successful solution to the long-term problems between the Republic of Macedonia and neighboring Bulgaria and Greece can be a positive example for other countries in the region, especially for Serbia and Kosovo, Montenegro and Albania, Albania and Greece. 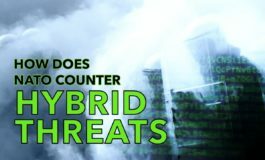 If these countries solve their disputes, Russia will significantly loose influence in the region. The Russian Federation is currently trying to stop successful ratification of the Greek-Macedonian treaty in the Greek Parliament, the referendum in Macedonia on the treaty, and the citizens support for the Euro-Atlantic course of the country. Furthermore, the work is being done to prevent Ukrainian and Macedonian Orthodox churches from receiving Tomos, which will considerably weaken the Moscow and Serbian patriarchates. According to journalists citing sources in the Ministry of Internal Affairs of the Republic of Macedonia, after the expulsion of the two Russian diplomats from Greece and entry ban on two others, the sources of financing of anti-government activities in Greece and Macedonia are becoming the next hot topics. It is believed that only in Macedonia, the "support fund" for radical political, nationalist organizations and sports fan clubs in Skopje is about $300,000. One protest in the capital of Macedonia costs $13 to $21 thousand dollars. Significant financing from the Russian secret services, via “Lukoil-Macedonia”, is going into organization of the work of controlled media outlets (“CITEL” television, “Vecher” newspaper, “Kurir”, numerous Internet portals). As was already reported in 2016-2017, Russian intelligence services tried to create a puppet political force on the basis of the movement "United Macedonia" led by the well-known figures of the ruling party at the time VMRO-DPMNE: Ilievski, Damovski, Jakimovski, leader of ethnic Serbs, Stoiljkovic, etc. But an attempt to forcefully prevent changes in the country in the spring of 2017 proved unsuccessful and the above-mentioned figures (with the exception of Stoiljkovic) were under investigation. The next project, launched in late 2017, envisages the creation of a completely new political force that would unite around nationalistic and pro-Russian organizations and lead the struggle against the Euro-Atlantic course of Macedonia. The appointed leader is the professor of the Russian Slavic University in the provincial town of St. Nicholas, J. Bachev. However, by mid-2018, despite the ‘magic name’ of the party "United Macedonia", trainings conducted by the apologists of the “Russian world", A. Dugin and L. Savin, both in Macedonia and Moscow, there were no results. At the biggest protest against the treaty with Greece, which took place in Skopje on the 17th of July 2018, no more than 100-150 supporters gathered around Bachev, who climbed on top of the police car with a Russian tricolor. In light of the Greco-Macedonian treaty, the decision of the European Union to start pre-accession talks with Macedonia and the decision of NATO to invite the country to join the alliance, the Russian special services further intensified their work both in Greece and in Macedonia. However, they started making mistakes and are being counteracted. After the expulsion of Russian diplomats from Greece, another blow will be caused by the joint efforts of the Greek and Macedonian special services (with the support of NATO, EU, US and Cyprus) in checking the sources of financing of anti-government groups. At the moment, two main subjects for further investigation are known. They are businessmen of Russian origin, both from Rostov-on-Don, I. Savvidi (Thessaloniki) and S. Samsonenko (Skopje). Perhaps, the investigation is also underway on “Lukoil” in Macedonia and Cyprus. The core of Savvidi's business, after the sale of enterprises for the procurement and processing of tobacco in Russia (“Don Tobacco” in Rostov-on-Don) and in Greece (“SECAP” in Xanthi) by the Japanese Japan Tobacco, is “Agrocom Group”, which produces food and tare. Savvidi is also profiting from the Thessaloniki Port concession. The Macedonian security services are currently studying the ties of two tobacco companies registered by Greek citizens in the south of Macedonia, especially since the founder of one of them also has the surname Savvidi (possibly a son - Ivan Savvidi). In addition, it should be noted that from the very beginning of Savvidi’s activities in Greece in 2008, he established links with the leaders of the main political forces of the country. He has also been actively influencing public opinion, especially in Northern Greece, through the media controlled by the oligarch. The circle of his acquaintances includes: Prime Ministers, Kostas Karamanlis, Antonis Samaras, Alexis Tsipras and his partner in the government coalition Panos Kammenos, leader of the party “Independent Greeks”. There is evidence that it is the deputies from this party, namely Dimitris Kammenos and Giorgos Lazaridis, who are betting on Russian special services to prevent the ratification of the treaty with Macedonia. The role the organized fans of the Greek football club PAOK and the Macedonian sports club Vardar (handball, football, basketball) have played in the recent protests was already reported in the media. Yet, the interaction between the organizations of sports fans in Greece, Serbia and Macedonia deserves additional attention. FK Vardar (Skopje) - S. Samsonenko. Often fans of these clubs are joined by fans of Belgrade’s Partizan, as well as fans from the Macedonian cities of Bitola and Tetovo. During the last friendly match between FK PAOK and FK Partizan the fans of both teams jointly raised the poster "Macedonia is Greece, Kosovo is Serbia". 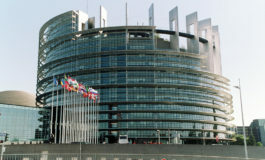 The decisive actions of the Greek government against Russian spies under diplomatic cover, as well as the leakage of information on the measures to counteract the involvement of Greek and Macedonian citizens in illegal activities, testify to the intentions of these countries to prevent Russian activities in the Western Balkans region.